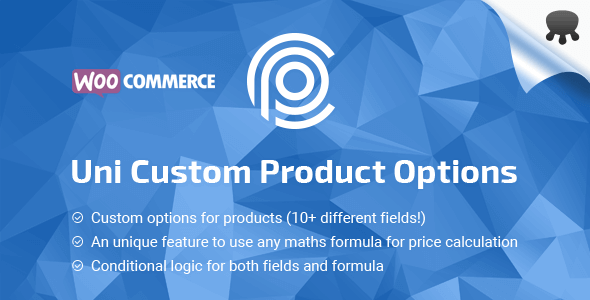 Uni CPO – WooCommerce Options and Price Calculation Formulas is a fully featured WordPress plugin from Codecanyon magazine that gives a possibility to add any custom options to your WooCommerce products as well as enables custom price calculation based on any maths formula. The current version includes these types of options: text input, file input, radio inputs, checkboxes, dropdown, date/time picker, range slider, palette select and textarea as well as special types such as heading, divider, note. For each option you can define title and a set of specific settings like: - min, max, step values for input type number/decimal or range slider; - max file size and allowed mime types for file input - sub options for checkboxes, radio, dropdown, palette select etc. Also, this plugins gives an ability to create field conditional rules and display/hide certain children options based on a choice made in its parent option. However, the unique feature of the plugin is that it creates a possibility to use any maths formula in order to calculate the price of the product based on user’s input / options chosen. Moreover, there is a conditional logic for formula – it is possible to create several formulas which will be applied under certain circumstances – user chosen options. And even better – you can create non option based variable(s) and use it in formula conditional rules. A quick example: you want to set sort of base price (e.g. apply a different maths formula) based on a calculated area that is calculated based on user’s defined width and height. Easy! You will be able to apply different formulas based on the value of calculated area. Options builder – nice UI that provides a smooth user experience. 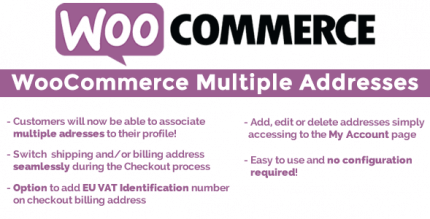 10+ types of options/fields included. An ability to create as many as you want non option based variables and use them in a formula(s). A possibility to use almost any maths formula for price calculation. An information about chosen/defined options is added to cart item / order item meta and visible in a customer’s account, on order edit screen, in emails. Change product image for option type dropdown. 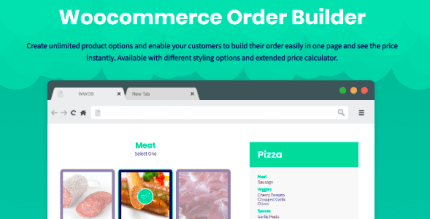 An ability to disable product ordering under certain circumstances.